You can buy a USB adapter for your car’s 12 volt cig lighter plug for a couple bucks. But if you spend just a tiny bit more time and money, you can have a charging port that looks clean enough to have come from the factory. 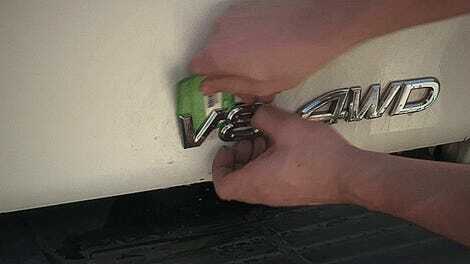 In this video, Jalopnik friend and occasional contributor Bozi Tatarevic takes us through the process of installing a flush-mount USB port in a Miata. Each step here is pretty simple. The whole job is really just about linking a few little tasks together. The hardest parts are pulling the center console out and soldering the wires into your 12-volt plug, but don’t be intimidated. If your car’s old enough to not have USB plugs, the center console is probably not all that hard to pop up. Do be careful around that old plastic, though. It tends to get a little brittle and breakable with age. Triple check that you’re soldering the right wires when you tap into power. You don’t want to splice into something that’s providing electricity all the time, because if you leave your phone pulled in it could drain the car’s battery over time. But some wires, like the ones running to this Miata’s cig lighter, will only be flowing with power when the car’s key is turned. As a general rule, it’s usually a good idea to disconnect the car’s battery if you’re going to be messing with wires, too. Tatarevic got his USB plug and tapping wires from Amazon for about $20. That one he used looks nice and stable as long as your soldering job is decent. Don’t forget to put the heat-wrap on the wires first! If you don’t know what I’m talking about there, maybe start with a soldering guide. 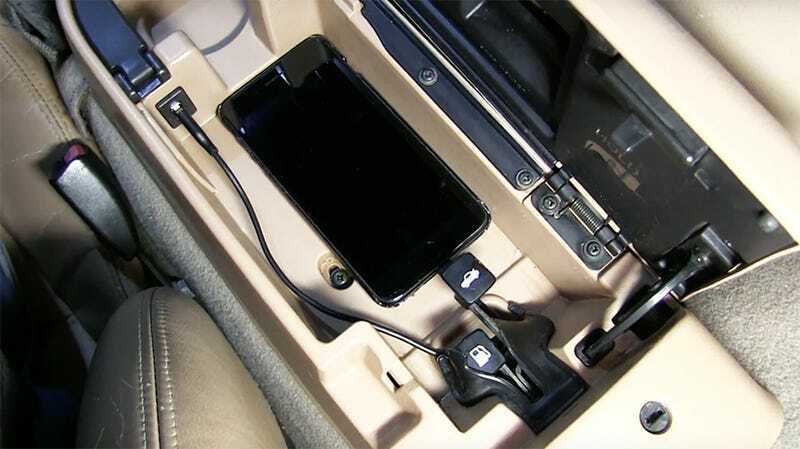 Obviously, the easiest solution to charging your phone or USB device in your car is just to grab a 12 volt adapter from a convenience store. But if your standards for aesthetic and organization are a little higher, this video should provide solid inspiration to create a cleaner charging solution in your cockpit.